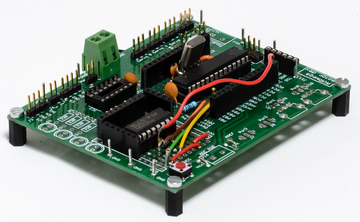 Stand-alone, C-programmable robot controller with 32 independent servo motor outputs. Based on Atmel ATmega168 microcontrollers. In audio electronics, the Total Harmonic Distortion (THD) is one of the most fundamental measurements. This project aims at designing a circuit that can be used as a rough THD measurement at the frequencies 1kHz and 20kHz. These frequencies are often used when measuring and comparing performance. ​Microchip PIC16-based LCD display driver, taking serial data from an external circuit board as input and outputs it on the LCD display. Indended primarily as a development/debugging tool, but can be used whenever serial data needs to be displayed. 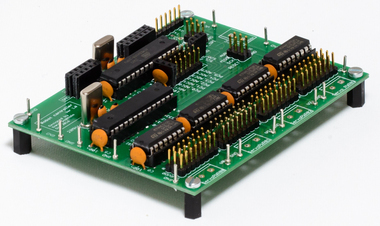 Development/experiment board designed specifically for developing motor applications for Atmel ATmega168 and similar microcontrollers. 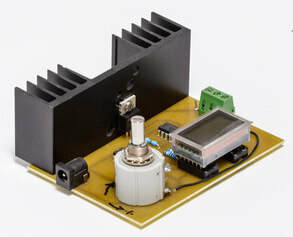 The board has 4 servo outputs and 2 DC motor outputs, complete with encoder and current limit inputs. The board also supports serial communication (SPI, I2C, USART) and a number of other features. 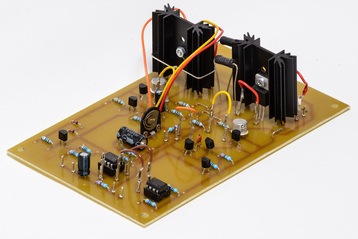 Development/experiment board designed specifically for developing motor applications for Microchip PIC16F1713 and similar microcontrollers. 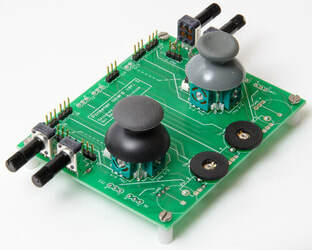 The board has 4 servo outputs and 2 DC motor outputs, complete with encoder and current limit inputs. In this project a basic preamplifier is designed and built, based mainly on the Baxandall circuits for active volume and tone controls. The Baxandall circuits exists in several variants and are very commonly used in audio circuits.